If you prefer your lodging accommodations to have strong ties to the culture of the city, then this hotel is the place for you to stay whilst in Yerevan. 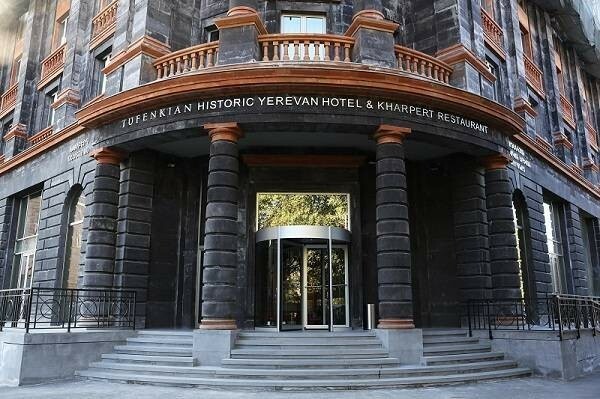 The Tufenkian hotel chain in Armenia focuses on maintaining the genuine heritage of the country, and the spectacular attention to detail in the hotel makes that clear. Everything, from room decorations to bedding, is related to traditional Armenian culture. In addition, every piece of furniture at the hotel is made by local Armenian artisans from local Armenian materials. The Tufenkian is also in a great location to the city’s center, and especially to the Vernissage Flea Market. Read full article on The Culture Trip.